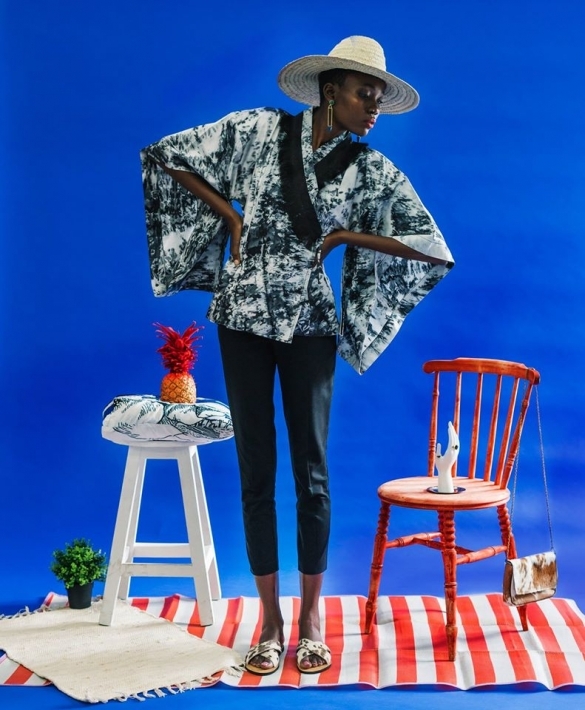 Ichyulu is a Nairobi based fashion retail platform that specialises in connecting consumers with African fashion. We caught up with the company to learn more about the African fashion retail industry and get her thoughts on the opportunities and advice for fashion designers looking to stock through retail outlets. 1. Please introduce yourself, and tell us a bit about your background, where you are based and what led to you following a fashion-focused career. I’m Kenyan and I’m based in Nairobi, Kenya. I have always loved African fashion and for a long time, I was a client. I got to know several designers when I would reach out to them often via social media to ask how I could purchase an item. When I moved back to Kenya, I wanted to stay in touch with fashion and decided to launch an online store that focused on African fashion. 2. Can you tell us about your fashion retail platform Ichyulu? When you started it and what you are looking to achieve with it? Ichyulu is an online concept store that stocks a selection of African fashion and accessory brands. There are currently 18 designers on the site from across the continent. Ichyulu was set up to provide a platform to connect designers with consumers and act as an alternative distribution channel. Our focus is to provide a curated retail experience for those who seek unique pieces to match their individual style. Part of our ethos is to celebrate the diversity of African fashion through showcasing the use of local materials, custom prints, and craftsmanship. Ichyulu was conceptualized in 2012 but it took some time to launch as I was not doing it full time. We formally launched in January 2016 with an installation in collaboration with fashion brand, Chichia London and PR and creative consultant, Arieta Mujay. Through Ichyulu, we hope to showcase the breadth of designers we have on the continent and also become an online retail destination for African brands. 3. What do you look for in the products you stock and the designers you choose to work with and why? One of the key things about Ichyulu is that it is curated so we never planned on featuring many designers. So we look for designers that have a unique aesthetic, pieces that you can look at and easily identify the designer. We are also interested in designers that are using traditional techniques and materials to create modern pieces. We also love to get to know the process behind the items and so if there is an interesting story there, we are interested. For example, Bush Princess from Kenya produces these beautiful hair on cross sandals in Nairobi which are made by hand. Nyumbani Design from Tanzania works with indigenous wood and artisans to create jewellery that is wearable art! 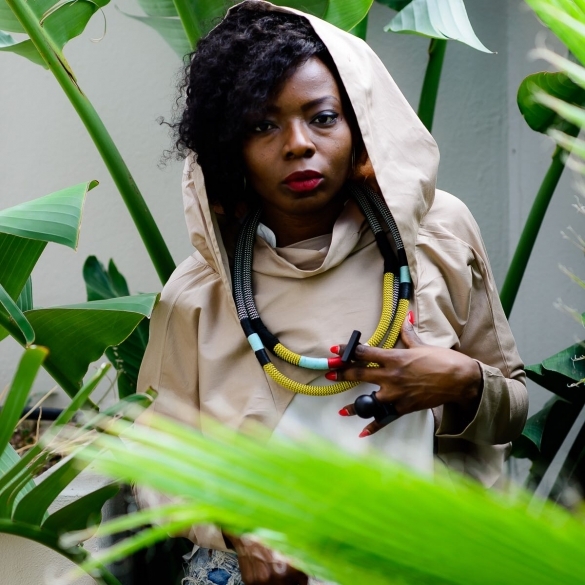 Pichulik from South Africa works with rope, thread, and gemstones to produce statement neckpieces, which are also handmade. I could go on about our designers! We also work on a wholesale basis so the ability for a brand to deliver per their timelines and work with small quantities is also important. We are also pragmatic so we understand that there can be delays in production. Since we often have some sort of personal relationship with the designers and have grown with them, we are able to work through these. 4. What advice would you give to designers wanting to approach and pitch their designs to retail stores and boutiques like Ichyulu? We like to work with designers who have produced at least two collections. It means that they understand their production cycle and have worked with other buyers before. Brands also need to have some sort of brand infrastructure such as a working website, active social media pages, and high-quality photos. As we work on a wholesale basis, it is important for designers to have their pricing right so that we can retail at the same price as the designer. We find one of the big challenges at the moment is pricing. If you are interested in stocking with Ichyulu, definitely get in touch. We buy at certain times of the year so even if we don’t select you, it is good for us to know that you exist. 5. The call to ‘buy African’ is growing in momentum. Why is it important to support local designers, and what do think has been a key factor in local/African consumers holding back from buying local? You find that a lot of local designers are interested in preserving traditional techniques and working with local materials which is always great for the economy and for preserving culture. There’s a growing segment of people who are very interested in buying quality local products so sometimes the challenge is just about creating awareness about what is out there and how they can purchase. 6. What have you found to be the most rewarding and the most challenging aspects of working in the African fashion industry and running a retail platform? It has been great to see people say that they have gotten to know so many great brands through Ichyulu. It is satisfying to see them starting to follow and support these brands. We also love working on our photoshoots that have allowed us to experiment with different concepts and contribute to the African visual landscape. We are focused on increasing the visibility of the site as well as the client base. We market primarily through social media and word of mouth. This is a slow process but we recognize that for us to achieve sustainable growth and continue to support our designers, we have to build slowly. 7. Based on your experiences and observations what do think is next for the African fashion industry and how can designers position themselves to take advantage of the resulting opportunities? There’s a growing market for African fashion and a lot of those consumers interact with brands online. For designers to take advantage, I would encourage them to work on their brand infrastructure and invest in simple websites, social media, and good photography so they can be found online. I’d also say that designers should ensure that they are able to respond to queries for buyers or clients in a timely manner. Thank you to Ichyulu for giving us an insight into the dynamic world of African fashion retail. You can find out more about Ichyulu by visiting the Ichyulu website, and interact on the following social media platforms: Facebook, Instagram, Twitter and Pinterest using the handle @ichyulu And sign up to the mailing list for regular updates.